Do you want to get on cloud? Our experience is oriented to optimize operational and business processes of your company, through customized digital solutions. We develop complex applications that help companies innovate through the internet. 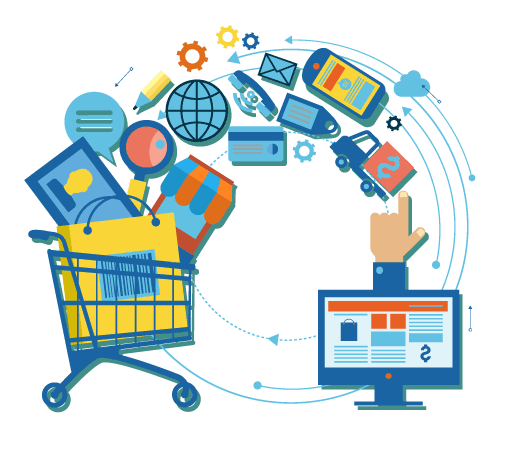 We build and integrate customized and standard solutions for electronic commerce. We migrate computer platforms to the cloud to have a centralized and secure architecture. We build and integrate tailor made and standard solutions for electronic commerce, where the company can provide a secure, intuitive and fast to transact and ordering space. With innovative design and quality, our customers get a cutting edge sales channel. Through content management system (CMS) and other tools, have full capacity to manage their products or services and stock control. We facilitate Store purchases integrating means payments funded by credit card prioritizing comfort and safety of customers. The National Securities Commission (CNV) regulated the collective financing system, known as crowdfunding, a term that describes the use of small amounts of money, obtained from a large number of people or organizations, to finance projects. Todos los derechos reservados © Incloux, 2017.